…so we drove to Mt. Evans for a day trip above 14,000 ft (no drugs involved). 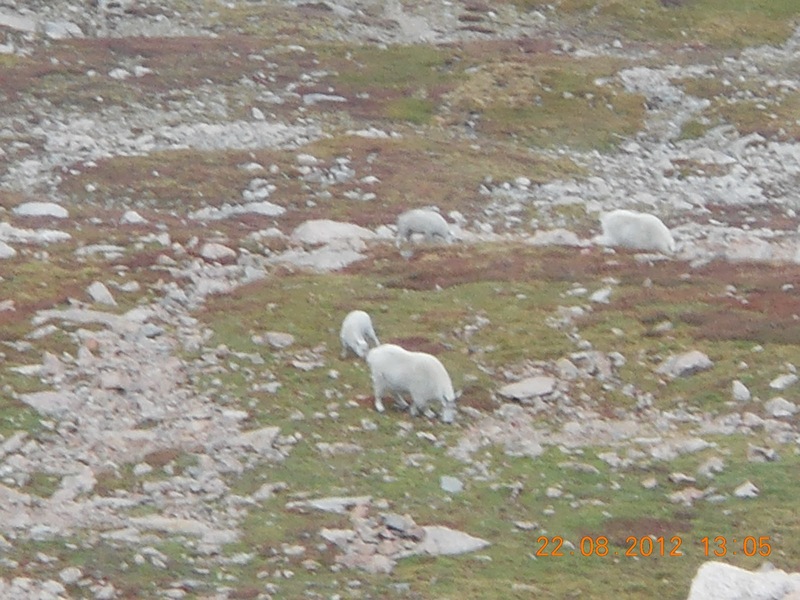 The mountain goats were very accommodating..
the mountain sheep a little less so. We found a little picnic spot off of CO 103, and although it was raining hard, we had a nice lunch in our van. Living in Denver, it’s very easy to forget where you are on the planet, and a trip like this, with the scent of the pine forest in the rain, can bring you back to your center. Highly recommended.